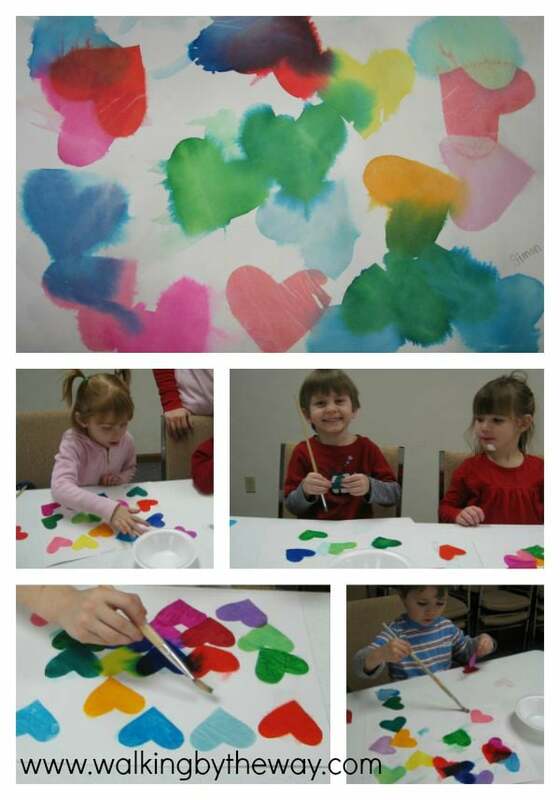 Here is a fun and easy Valentine's Day project you can do with your preschooler! 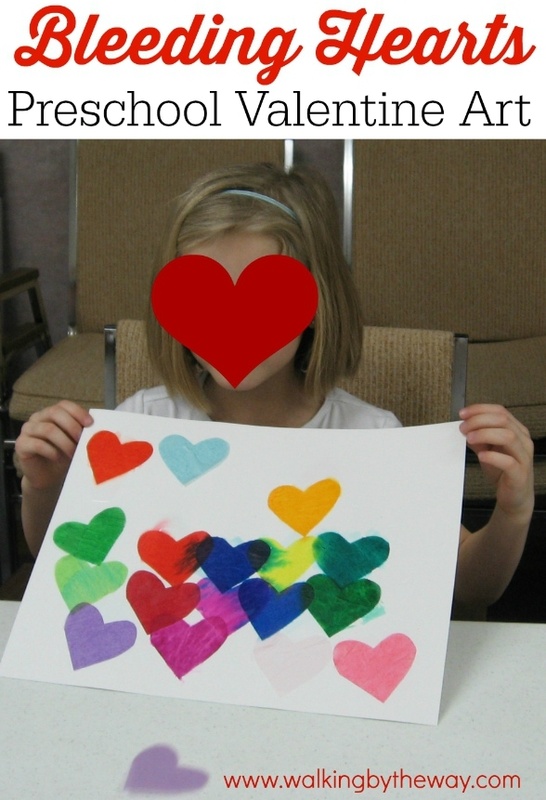 I did this with a group of preschoolers at our co-op's annual Valentine Day Party last year. Show the children how to dip the brush in vinegar and brush it on the poster board (use the matte side, not the shiny side). Then let him stick a tissue paper heart to the vinegared spot. Continue until child is satisfied with the amount of hearts on the board. Let it dry. After it's dry, let your child pull all the tissue papers off and throw them away. You will be left with a beautiful piece of heart-work! Is there a reason you use vinegar instead of water?